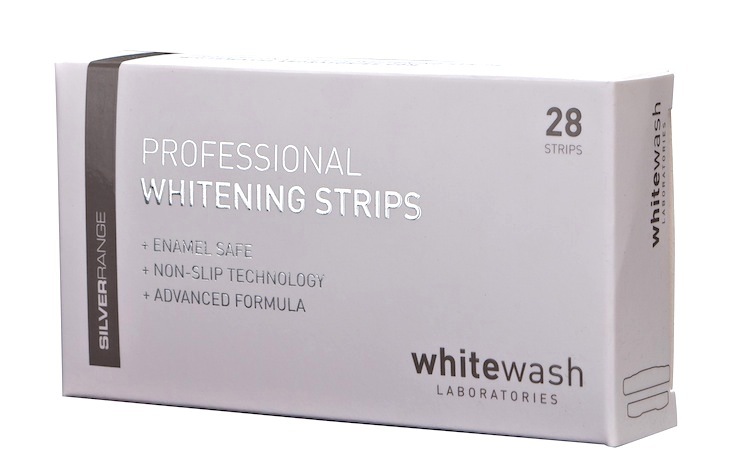 Bleaching Whitestrips are thin, flexible strips that are coated with a tooth whitening gel containing peroxide. Designed to conform to the shape of your teeth, they work by keeping the whitening gel on your teeth for one hour once a day to get at stain build-up on and below the tooth’s surface. What are the step-by-step instructions for using Tooth whitening strips? - It is best if you do not brush your teeth immediately before applying the strips. - Open the foil pouch and remove product. Handle strips with dry hands. - Peel the strip from backing liner. - For easier application, apply the lower strip first. - Using a mirror, apply the gel side of the strip on your front teeth. - Align strips with the gum line and press gently for good contact. - Fold the rest of the strip behind your teeth to keep in place. - Wear strips for one hour, remove, then discard. How long do I wear toothwhitening strips for? Strips should be worn for one hour, once a day for 2 weeks. You will begin to notice the difference after just seven days. When will I start to notice results with Oral-B 3D White Whitestrips? This varies by person, but most people start seeing whiter teeth after just one week. Whitening strips give you a smile makeover in just 14 days. Is it safe to wear the strip longer than 1 hour? It is recommended to wear the strip for 1 hour only. If you are looking for faster results than 14 days, you can use the strips twice a day for 1 hour each for 7 days. With whitening strips, the results will last for up to 12 months. The length of time your teeth will stay whiter after using whitening strips is influenced by how often you drink coffee, tea, fizzy drinks, red wine, or smoke. If you continue to use staining substances such as these, your teeth may begin to discolour sooner. How much do whitening strips cost? £98 for a full box which contains 28 whitening strips (14 for upper teeth and 14 for lower teeth). Individual packets (containing 1 upper and 1 lower strip) are also available at £10. How soon will I see whitening results from whitening strips? You should start to see results after 3-7 days, the full results in just two weeks. If I wear the strips longer than 1 hour, will my teeth get whiter? It is not recommended that you wear the strip longer than 1 hour. If you are looking for faster results than 14 days, you can use the strips twice a day for 1 hour each for 7 days in total. Will strips affect my dental work? If you have dental work or staining from medication, have your dentist determine if whitening is appropriate. Strips will only whiten natural teeth. It will not whiten caps, crowns, veneers, fillings or dentures. Strips are designed to hold well to teeth. Do not use on loose teeth or temporary or loose restorations. Do not use with dental braces. Are Strips safe for my tooth enamel? Yes.strips contains peroxide, the same enamel safe ingredient dentists use for tooth whitening. Hydrogen peroxide has a long history of use in tooth whitening. Extensive testing has shown the product to be safe when used as directed. What if I experience tooth sensitivity or gum discomfort while using the product? Some people experience tooth sensitivity or gum discomfort when using whitening products this is temporary and not harmful. If significant tooth sensitivity develops, try stopping use for 2-3 days then resume once per day usage. If problems persists, discontinue using strips. I am a smoker, will whitening strips work for me? Yes, however, smoking stains can be difficult to remove and may take a little longer. If you continue to smoke after whitening, your teeth may begin to discolour sooner. Can I smoke while using whitening strips? No. Smoking while using strips product is not recommended. Can I drink beverages other than water while using Whitestrips? No. Only drinking water is recommended while the strips is in your mouth. I drink coffee/tea/cola/red wine, will whitening strips work for me? Yes. Research shows whitening strips are effective for people who have stains from coffee, tea, and dark colas. If you continue to use staining substances such as coffee, tea, dark colas, or red wine, your teeth may begin to discolour sooner. Yes. The white spots are temporary. These spots are not harmful and will go away in a few hours. I’m having difficulty removing the strip at the end of the 1 hour wear time. Is there an easier way to remove the strip? Whitening strips are uniquely designed to securely hold the whitening gel onto your teeth. If it seems like you are having trouble removing the strip; simply try peeling the strip off the back of your teeth to loosen the grip and then peel the rest of the strip off your teeth. How do these strips differ from Crest whitening strips? The main difference is that Crest white strips are not licensed in the UK due to their variable peroxide concentration that is higher than is legally allowed. Legal tooth whitening strips are only available from registered Dental Practices such as Mount Florida Dental in Glasgow.